Stunning . . . What makes Durrow’s novel soar is her masterful sense of voice, her assured, nuanced handling of complex racial issues—and her heart. Rachel’s voice resonated in my reading mind in much the same way as did that of the young protagonist of The House on Mango Street. There’s an achingly honest quality to it; both wise and naive, it makes you want to step between the pages to lend comfort. Not only were our students inspired by Heidi’s writing, but they were also inspired by her as a person. She embodies a perfect combination of intelligent, hard-working writer; kind, thoughtful person; and charming, joyful woman. She is exactly the kind of speaker we enjoy having: she has the right amount of confidence, openness, and integrity. Heidi W. Durrow is the New York Times bestselling author of The Girl Who Fell From the Sky, winner of Barbara Kingsolver’s PEN/Bellwether Prize for Socially Engaged Fiction and a book club favorite. 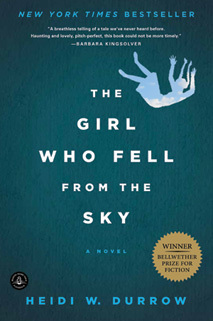 The Girl Who Fell From the Sky was hailed as one of the Best Novels of 2010 by The Washington Post, a Top 10 Book of 2010 by The Oregonian, a Top 10 Buzz Book of 2010 by The Boston Herald, and a Top 10 Debut of 2010 by Booklist. Ebony named Durrow as one of its Power 100 Leaders of 2010, along with writers Edwidge Danticat and Malcolm Gladwell. In 2011, Durrow was nominated for a NAACP Image Award for Outstanding Literary Debut. An award-winning podcaster, Durrow is the host of The Mixed Experience, where she explores the multiracial experience in pop culture, academia, and history. She is also the founder and executive director of the Mixed Remixed Festival, an annual public event celebrating the mixed-race experience. It is the largest nationwide gathering of multiracial people in the country. Durrow has spoken on creativity, women’s empowerment, and multicultural and multiracial issues at universities, conferences, and festivals nationwide. She has been featured as an expert on multiracial issues and identity by the NBC Nightly News, The New York Times, CNN, NPR, the BBC, Ebony, and The San Francisco Chronicle. 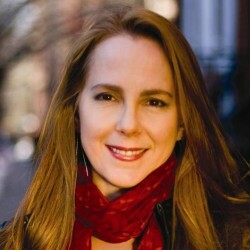 She is an occasional contributor to National Public Radio. Durrow is the recipient of a Fellowship in Fiction from the New York Foundation for the Arts, a Jerome Foundation Fellowship for Emerging Writers, and a Jentel Foundation Residency. She won top honors in the Lorian Hemingway Short Story Competition and the Chapter One Fiction Contest. 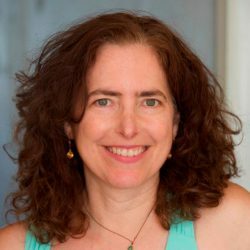 She has received grants from the Elizabeth George Foundation, the American Scandinavian Foundation, the Roth Endowment, and the American Antiquarian Society, as well as Fellowships to the Norman Mailer Writers Colony and the Bread Loaf Writer’s Conference. A graduate of Stanford University, Columbia’s Graduate School of Journalism, and Yale Law School, Durrow has also worked as a corporate attorney and as a life skills trainer for professional athletes in the NFL and NBA. Durrow’s writing has appeared in The New York Times, Literary Review, Smokelong Quarterly, Callaloo, Poem/Memoir/Story, The Yale Journal of Law and Feminism, Essence, and Newsday, to name a few. She is currently at work on a new novel. 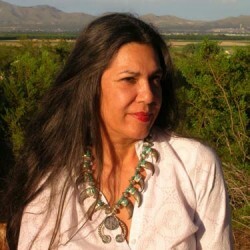 For more information on Heidi Durrow, please visit heididurrow.com. Out of the clear blue, here is a breathless telling of a tale we’ve never heard before. Haunting and lovely, pitch-perfect, this book could not be more timely.